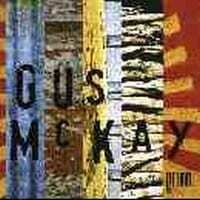 Singer/songwriter Gus McKay has strung together another excellent set of honest and sometimes striking originals to follow up his well received 1999 release, "All About Flight" with some pithy and punchy lyrics and a stripped-back musical approach. McKay weaves country, folk and blues into a style that is pretty much his own. Many of the songs reflect the artist's palpable affiliation with the land and rural matters. McKay's ethereal vocals and laidback guitar take you down dusty outback roads to "A place where the streetlights don't block out the stars", (his own words). This is a total listening experience rather than a CD that can be analyzed track by track.